Tony Greenstein's Blog: As Klansman David Duke & The Stormer applaud Yair Netanyahu, Zionists have the effrontery to accuse anti-Zionists of anti-Semitism! 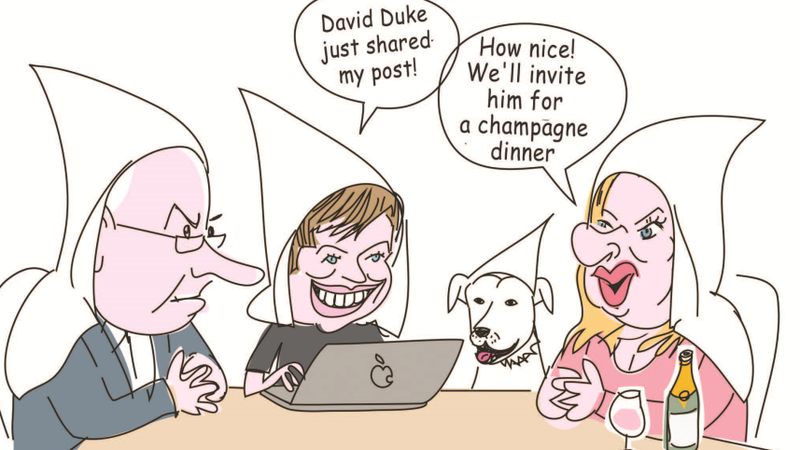 As Klansman David Duke & The Stormer applaud Yair Netanyahu, Zionists have the effrontery to accuse anti-Zionists of anti-Semitism! It gets worse. 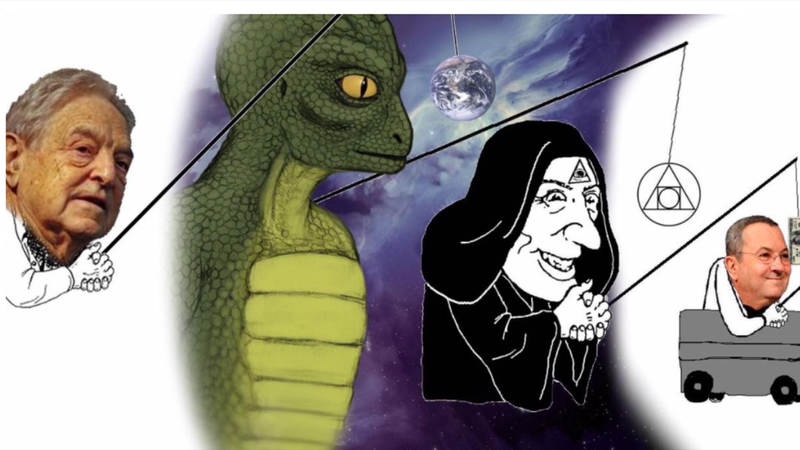 Benjamin Netanyahu’s son’s cartoon attacking George Soros, which he lifted from a neo-Nazi web site, has now been deleted but not before David Duke, a former Grand Wizard of the Ku Klux Klan and the Daily Stormer, the neo-Nazi site had welcomed it. The Daily Stormer is named after the viciously anti-Semitic paper edited by Julius Streicher, the neo-Nazi Gauleiter who was hanged at Nuremburg in 1946 for Crimes Against Humanity. 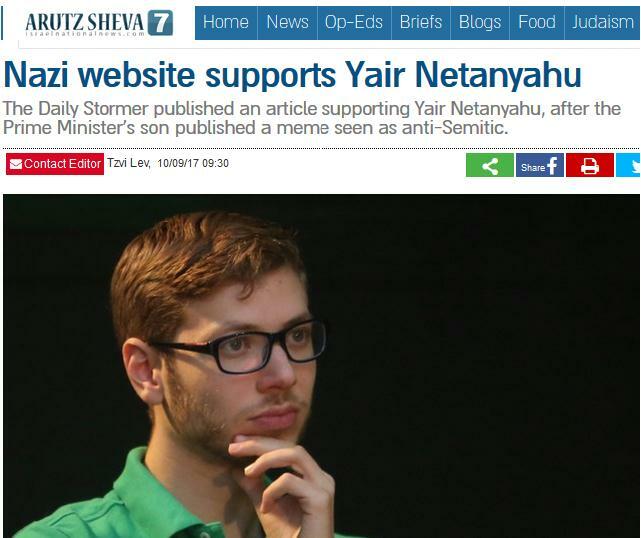 The Daily Stormer has even incorporated praise of Netanyahu Jnr. into its banner headline. This should not be a shock to anyone. Zionism began its life in the late 19th Century as a form of Jewish anti-Semitism. Its founder, Theodor Herzl wrote in his Diaries (pp. 83/4) that ‘the anti-Semites will become our most dependable friends, the anti-Semitic countries our allies.’ Why? Zionism, uniquely among Jewish movements of the time, advocated retreating from anti-Semitism not fighting it. Why fight something which can’t be eradicated? Not only did Zionism agree with the anti-Semitic solution of Jews voluntarily repatriating themselves, as the antiSemites desired, but they made building a Jewish state their one and only priority. Their aim was to get as many Jews as possible to emigrate. Zionism developed a world view which said that Jews who refused to emigrate to Palestine (the vast majority) deserved the anti-Semitism they faced. Indeed Zionism positively welcomed anti-Semitism in Europe as a means of ‘helping’ the Jews to emigrate (even though 99% of the 2.5 million Jews who emigrated between the middle of the 19th century and 1914 went to the USA and Britain not Palestine. Zionism saw in anti-Semitism a 'divine will to good' (Herzl) because it kept the Jews separate. Zionism was not a movement to help Jews escape anti-Semitism. It was a movement to build a separate Jewish racial state, hence why during the Nazi era, they counterposed saving Jews to building their state. The Zionist movement developed the concept of the ‘negation of the Diaspora' which meant positively hating the Jewish presence outside Palestine. Zionists looked upon Jews who insisted on living outside Palestine with contempt and hate even. Zionism saw the Jewish disapora of 2,000 years as a complete waste, having produced nothing national. The fact that the Jewish contribution to civilisation was an immense one, from Moses Mendlessohn to Heinrich Heine, Spinoza, Einstein etc. counted for nothing to the narrow nationalists and messianic madmen of Zionism. This is the context in which Netanyahu Jnr. 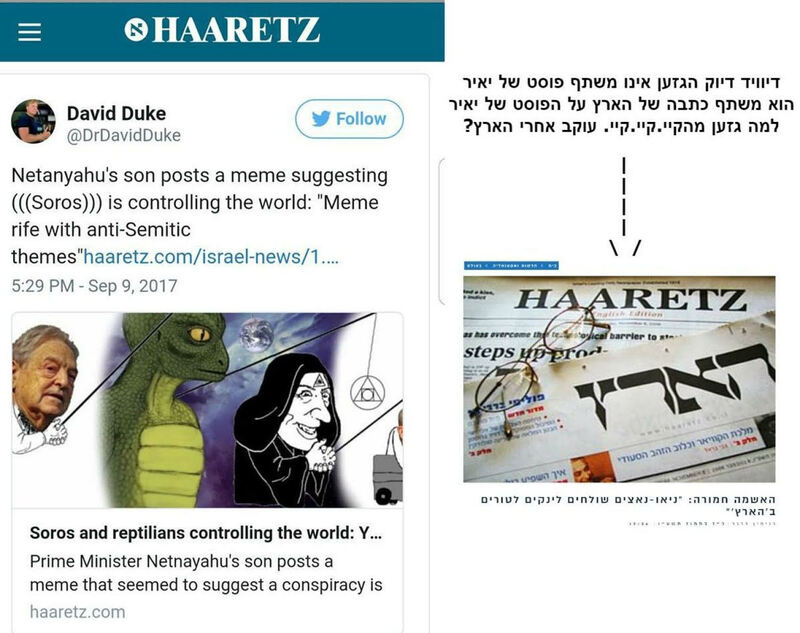 borrows anti-Semitic memes from neo-Nazis. His hatred is not for anti-Semitism but for Jews who offer a different perspective including that of universal human values outside Israel. George Soros is thus a hate figure, not just for the far-Right but for the Zionists too. 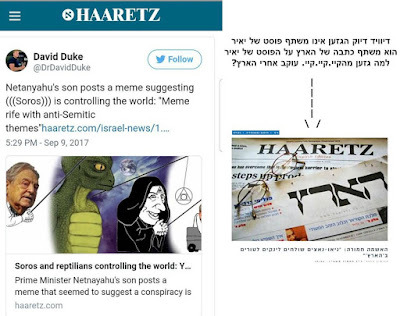 Over 24 hours have passed since the son of Prime Minister Benjamin Netanyahu posted a malicious image clearly drawing on anti-Semitic terminology – and the silence emitting from the house on Balfour Street is thunderous. In a meme posted by Yair Netanyahu to his Facebook account on Friday, and hastily taken down Sunday evening, the face of Jewish tycoon George Soros was put on a neo-Nazi character known to symbolize the imagined world-manipulating Jew, beneath the distressing headline “food chain.” The caricature, spiced with other popular images from racist conspiracy sites, depicted Soros as the driving force behind leaders of the protests against alleged corruption in the prime minister’s residence, Eldad Yaniv and Meni Naftali, and behind Netanyahu nemesis Ehud Barak. The educational and moral failure continued to reverberate in headlines worldwide, but even after Netanyahu the son had second thoughts, Netanyahu the father remains silent. True, the father and son are not the same person. They do not necessarily represent each other. Neither is Yair Netanyahu responsible for what others chose to do with the message he published. However, he is not a private person immersed solely in his own affairs. Many accounts describe him as an inseparable part of the political apparatus surrounding the Netanyahu family, and of what goes on at the Prime Minister’s Office, especially regarding communications, in which he specialized during his army service in the IDF Spokesman’s Unit. The anti-Semitic meme is not Yair Netanyahu’s first public outrage, but it is his worst. This time silence in light of such an alarming message, cannot be interpreted as anything but consent to the ongoing demonization of anyone who doesn’t get in line with the Israeli right, which is becoming ever more extreme. The PM must cut the growing ties between Jewish nationalists here and racist nationalists, including anti-Semites, worldwide, even if it means publicly reprimanding his son. Removing the evidence will not remove the stain.